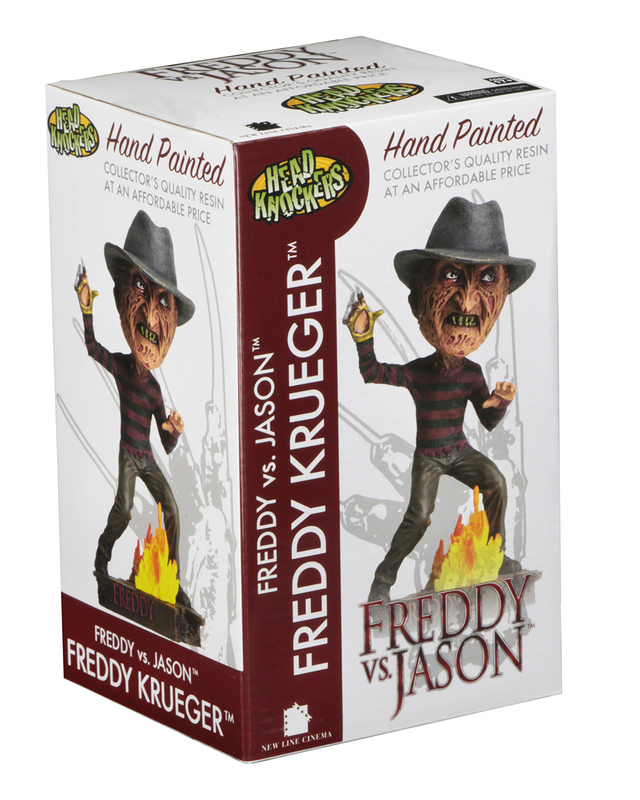 This addition to our popular Head Knocker brand brings you Freddy from the slasher mash-up Freddy vs Jason! 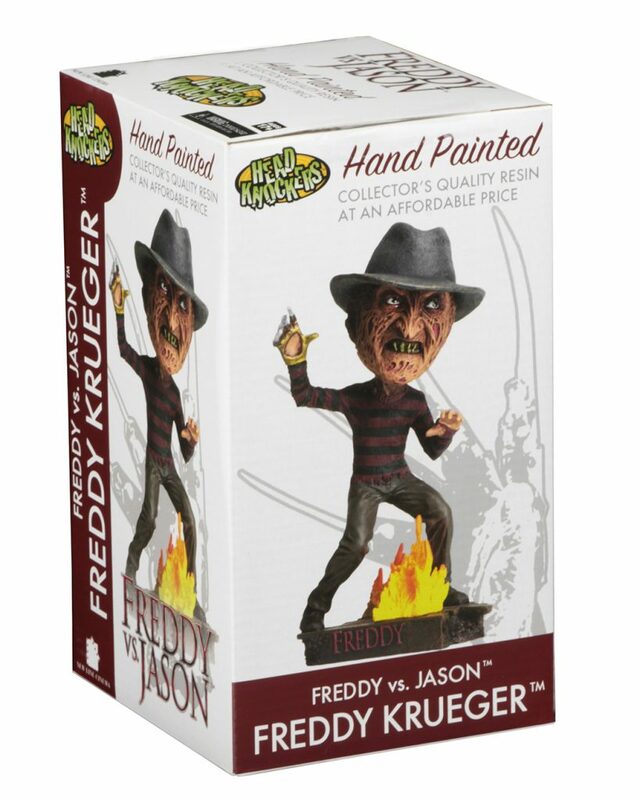 The dreamstalker is cast in resin and then hand painted for incredible detail. 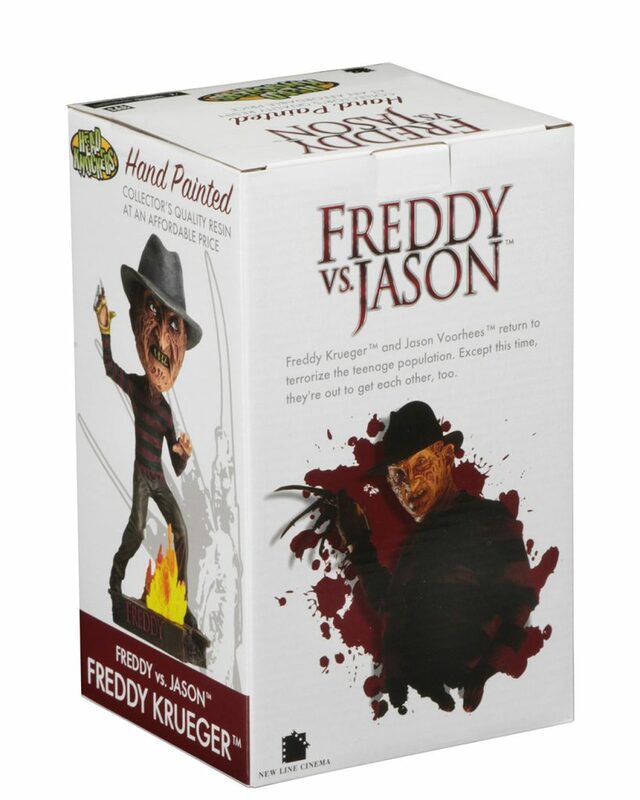 Stands over 7″ tall with a bobbling head that makes him pretty cute – but he’ll probably still kill you in your dreams.